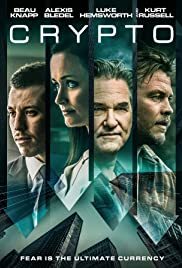 A hitwoman decides to leave a life of killing after joining an organized crime family in Boston, MA. Said hitwoman also attempts to look after a young kid who's being terrorized by the nasty thugs he works for. 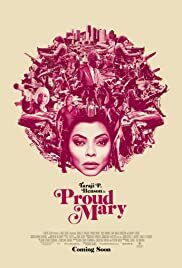 That's the gist of Proud Mary, my latest review. After an opening credits sequence that's a homage to blaxploitation films everywhere, "Mary" reeks in terms of familiarity and forced habitualness. It descends into becoming a totally stock mob thriller. "Mary's" got cool cars but it has risible one-liners. It's got eccentric guns but it takes itself way too earnestly. Finally, "Mary" is violent but its violence doesn't completely sting. All the carnage and duality feels half-assed at best. Heck, there's no visual poetry or ferocity as birds in flight. Bottom line: Proud Mary ain't no downtown Foxy Brown. Proud Mary's lead is Taraji P. Henson. She's visibly beautiful, she's a terrific actress, she's bad in black, and she has that apparent Pam Grier screen presence. However, Taraji is not an action star. "Mary's" director (Babak Najafi) knew this early on and that's why he films Proud Mary's fighting sequences so shoddily, so sloppily, and without clarity. When Henson's Mary Goodwin takes out 10-15 guys in "Mary's" final act, you don't believe it's possible and furthermore, you believe the stunt double did all the work. Henson, an Oscar-nominated trouper and someone coming off a cinematic hit a la Hidden Figures, needs to have a long talk with her agent concerning "Mary". She needs to decide whether or not to bring down the anvil and fire this person. All in all, Proud Mary has chintzy dialogue, two or more main characters that fade in and out, a barely resonant Neil McDonough, a tedious midsection, and Tina Turner's 1971 hit song being played as an obvious ploy. As a mediocre version of a female John Wick, a neutered version of this year's Accident Man, and a flick that borrows its plot line from 1994's The Professional, "Mary" sadly earns its January release date. This disposable movie is nothing to be "proud" of. Rating: 1 and a half stars.